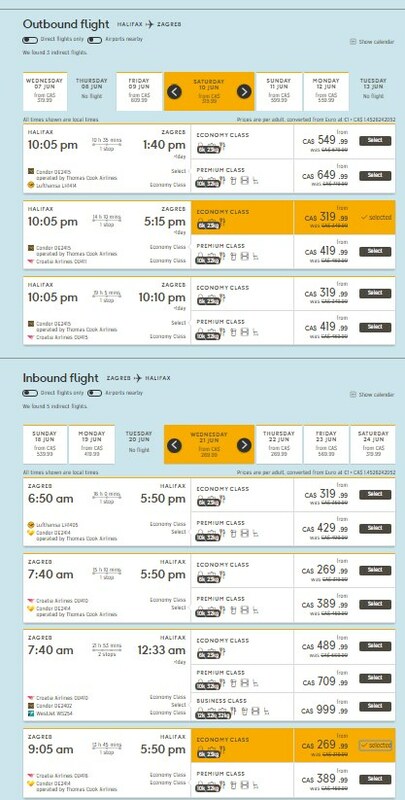 Condor Airlines has dropped the price of some of their late June and July flights from Halifax, Nova Scotia to Munich, Germany and Zagreb, Croatia down to between $599 and $630 CAD roundtrip including taxes. The flights from Halifax to Munich are non-stop flights. Update 5/18 - Some more June dates from Halifax to Zagreb, Croatia have dropped to $590 CAD roundtrip including taxes. 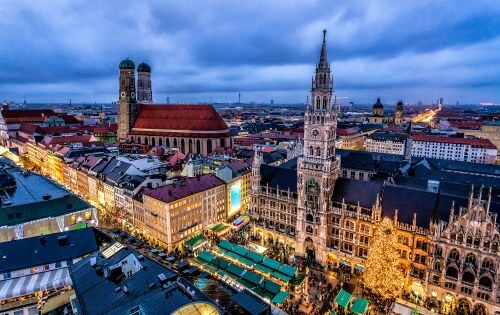 You can also find flights to Munich, Germany on the same dates for $569 CAD roundtrip. Or to Prague, Czech Republic for $608 CAD roundtrip. This will start you with a search from Halifax to Zagreb, Croatia. If you want to search for Munich or Prague instead, try clicking on 'Edit Search' near the top right. 3. Scroll down to the return flights. Look for the return dates that are $270 CAD. Update 6/9 - Some October dates from Halifax to Zagreb, Croatia have dropped to $640 CAD roundtrip including taxes. 3. Scroll down to the return flights. Look for the return dates that are $239 CAD.